We’re used to calling the period occurring after the Bronze Age, the Iron Age. Some peoples managed to produce iron tools well over 3000 years ago. But whilst iron was already in use and in some cases was almost indispensable, it wasn’t cheap and accessible for a very long time. 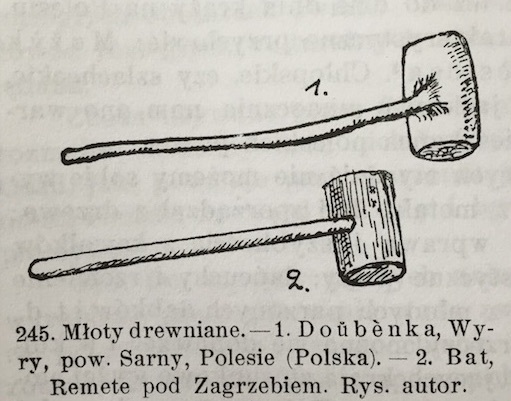 In fact, one traveler and chronicler named Werdum who visited Poland in the 17th century noted in his diary that apart from a few cutting tools such as axes, knives and adze, the average Polish peasant had almost no metal implements in his farmyard. It seemed to him like everything from houses to tools to shoes and clothes was made from plant material. Even things like a harrow were neatly put together using carefully selected branches. Nails were also made of wood. A Polish ethnographer Kazimierz Moszyński suggested that these people, as well as many peoples in the North-East Europe, weren’t living in the Iron Age at all. Until relatively recently they were living in the ‘Wood Age’. It’s no surprise that their hammers and mallets were wooden too. But how do you make one if you don’t have a metal drill bit to put two pieces together? Well, you make it out of one solid piece of wood like the mallet no.1 in the picture. Here is my interpretation of a 17th century one-piece wooden mallet and how to make it. The more knots you’re able to incorporate in the head the better. They’ll prevent it from splitting too easily. 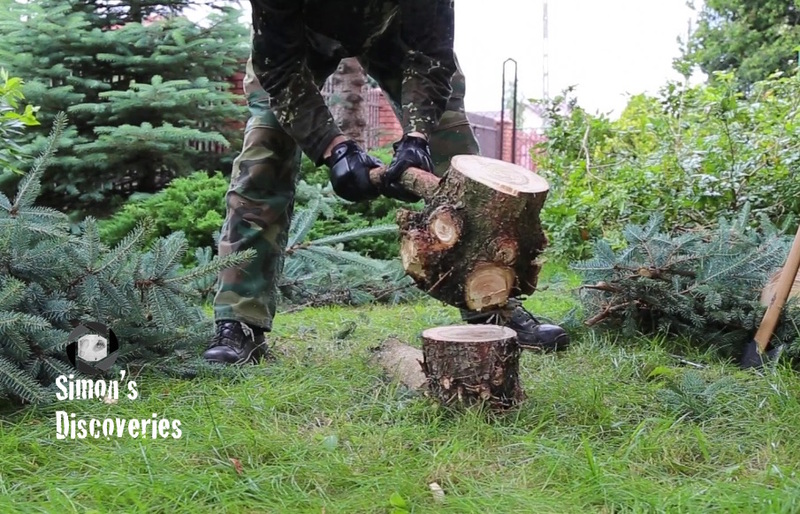 This entry was posted in Bushcraft, Survival&Camping and tagged bushcraft, forest, hammer, mallet, slavic, survival, test, Thor, Thor's hammer, wood, woods by Szymon Szary. Bookmark the permalink.